There is no doubt 3D printing is more than a temporary nourish for the world. According to some recent surveys, the worldwide 3D printing industry is now projected to reach revenues $12.8 billion by 2018 and surpass an enormous $21 billion globally by 2020. The role of 3D cannot be undermined -- from product design in the technology industry to modeling and presentation in the real estate sector, 3D has proven its stay. Self-design, an advancement on 3D designs that allows users to create custom designs from which manufacturers can create a customer-specific product is the new trend. Here are some ways 3D and self-design are making the world a better place. Isn't it amazing if the blind and visually weaken could feel images? 3D technology has made it achievable for the world. With the advent of cutting-edge printers, the users can print the photographs and pictures in 3D version. What's more? 3D models of even unborn babies can be created with this technology. Owing to amazing customization features of the 3D and self-design techniques, it will be possible to design and build implants depending on the needs and requirements of the clients. It means that the technology will help to get improved body parts. Nowadays, most transportation companies are using 3D printed parts to increase the strength and protection of the vehicles. This technology is utilized to design even planes. 3D printed components to make the plans lightweight and sturdy. When it comes to evaluating a vehicle, we always look at fuel efficiency. With 3D components, vehicles are made fuel efficient. Traditional plaster casts are somehow uncomfortable to carry. But modern plaster cast built with 3D design are easy to wear and more hygienic. The role of 3D technology is really great in the healthcare sector. It brings various new discoveries in medicine. It saves loads of time and resources spent on surveys and researches. Owing to the advanced printers and supplementary devices, it is now easier and faster to design and craft tailor-made implants. Various tasks related to design have become quick, simple and efficient with 3D and self-design technology. It improves the efficiency and reduces the need for manpower. Ultimately, it speeds up the production and reduces the expenses. At present scenario, designs and looks of almost everything are changed very rapidly. 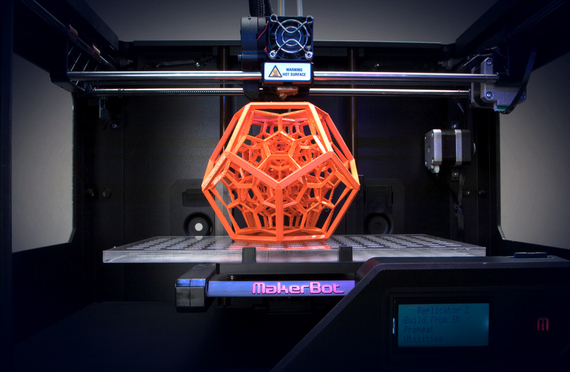 3D printers allow the employees to save time and let them focus on their main work. It helps to streamline the work. Creating faster and a proficient solution are easy with a smart printer. Brian Walker, Ph.D., the co-founder, and CEO of CircutScribe says self-design will make 3D adoption rate even faster. "Due to the speed at which jobs can be completed, from the customer interaction point to the printing and manufacturing stage, a lot of previously wasted time will be cut. This means more people will adopt 3D as a way of getting things done," he said. The emergence of art and technology has changed the way schools offer education to the students. With the 3D and self-design technologies, students learn various subjects especially, science, technology, engineering and math with fun. Art and technology have always been interconnected, but now they are allied more than ever before to change the world.